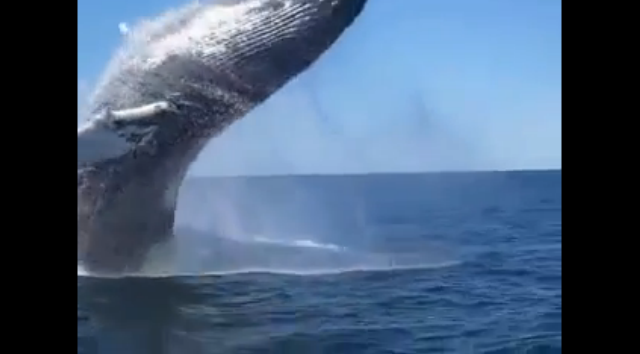 Joseph Weber and his wife were sailing off the Gulf of Maine in their lobster boat when they experienced a spectacular close encounter with some humpback whales. When Weber cut the engine of the boat, the whales lazed around for ten minutes, seemingly enjoying the attention they were receiving. One whale frightened the Webers when he jumped out of the water and landed with a terrific splash that rocked the wooden boat. If you're not into whales, Joseph's wife's reaction alone is worth a viewing.